I met a really exciting character this week and just have to share what I learned with you. Lyssa Pennington is a spunky economics professor who, when she’s not tackling huge egos and nasty gossipers on campus, solves mysteries. In fact, for Lyssa, the more thrilling the better! She’s a handful and a half, and a blast to be around. I’m so excited you’ve asked me to interview, Terri! I love solving murders with my husband, Kyle, in The Penningtons Investigate, but I’m excited about having the spotlight just on me, Lyssa Pennington, today. So, you’ve read a great book lately have you? Maybe even found yourself a new “keeper” author. Can’t wait for that next great read? Like any other entertainment professional, authors need encouragement. Validation over and above the initial sale. Where do we get that much-needed encouragement? Through an honest review. Most importantly, a review can be short. Don’t feel like you have to recap the entire book. That’s the sole purpose of the posted blurb. Two to three sentences outlining your reaction is more than enough. And, of course, set the ‘star’ ranking. Wanted to share my current reads with fellow LCRW writers . . . The attorneys I work with have helped me with legal documents surrounding child custody and wills for my current WIP. I once pumped a religious connection in order to furnish an alibi for the accused in my second novel, Try Just Once More. It involved the intricacies of how to get around the secrecy of the confessional. Informational brochures sent to me as a donor to Doctors Without Borders and Amnesty International have given me a wealth of information which I hope will serve as fodder for future novels/novellas. I used the internet to research the modern day underground railroad, information used in Caper Magic. Vacation spots have served to offer me some terrific settings for Try Just Once More and Caper Magic. I have a completely non-spooky post in store for you today. It starts with a review of a new book release and ends with a giveaway! Kyle Pennington broke Lyssa’s heart when he let her go, rather than interfere with her budding career. An ocean away now, Lyssa has fallen under the spell of golden-tongued Rand Cunningham who’s in a hurry to marry her. But Kyle is miserable without her and is willing to risk everything to get her back. Will Lyssa wake up in time to ask who she really loves? 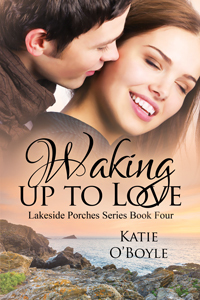 Waking Up to Love is on sale now at Amazon. Sound advice from an editor at Soul Mate Publishing! 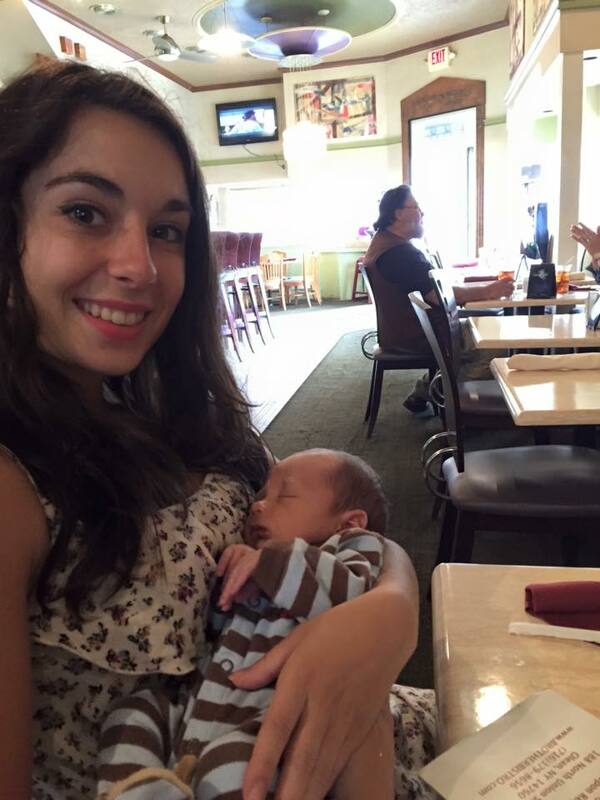 Allow me to introduce Brittany Touris, author of the debut novel, “Stars Melt to Milk,” available in hard copy and electronic at http://www.amazon.com, http://www.barnesandnoble.com and the Kindle version at IBookstore. JB: Good Morning, Brittany. Another busy day scheduled today? BT: Of course. I worked my part time job this morning and am taking care of some other work right now. There’s always more to do! JB: I’ve read some really great reviews of your book on Amazon. How do they make you feel? BT: It’s always great to get good reviews. I especially appreciate honest reviews. Ones that can point out the books strengths and weaknesses. Getting feedback is the best way to improve and reach my readers. But of course seeing that people enjoyed the book is always nice. JB: How has this book changed your life? Or has it not changed it at all? BT: In a practical way, not much has changed. I still have a lot of work to do before I see my writing changing my life in concrete ways. But I have felt a shift in my mindset. Now that I have a novel published, I’ve felt more of a pull towards being a fiction writer. Before I was mostly known as a “social justice blogger” to people—it’s how I thought of myself too! Now I feel more like a novelist who also blogs about social justice issues. JB: I really admire how you dedicate your full day, every day, to your writing. Almost every writer I know has a problem with setting aside time just for writing. How do you manage that and still maintain creativity? BT: A lot of writers set a certain word count goal for the day, others get on a routine schedule, others set a certain amount of time. They’re strict with themselves. I don’t do any of that—although I’ve tried all of it. I write when I’m inspired and give myself general tasks to complete. There really aren’t any tricks to dedicating yourself to something, you just have to tell yourself to do it. JB: You’re scheduled to present at Rochester’s Fringe Festival later this month. Tell us about that. Young Rochester-born author Brittany Touris chronicles the struggle and allure of being a local artist. Through her own tales, as well as those of other artists in the community, she shares some insights and oddities about “making it” with an unconventional career in this city. JB: What is the Fringe Festival, anyway? BT: The First Niagara Rochester Fringe Festival is one of the many Fringe Festivals worldwide. Since its start in 2012, it’s attracted more than 30,000 attendees. Its focus is on the arts—all kinds of arts. You’ll see a lot of eccentric and creative pieces. It’s truly inspiring and I’m incredibly excited to have a part in it this year. JB: In your novel, Stars Melt to Milk, you have two, three really, characters who are struggling with the reality of Life and all its demands, rewards and punishments, the third character in a peripheral sense. Do you have a favorite among them? If so, why? BT: It depends on what you mean by favorite. Janis is definitely the character to admire. She’s strong and passionate and never gives up. I relate to her artistic inclinations and the way she views life. So I definitely love Janis. Ray was always a really interesting character to me. He was the one man in the book who was as kind-hearted and passionate as Janis, but he was just a kid. I like to think sometimes about what he’d be like in five or ten years. Maybe we’ll see him in a possible sequel? I just feel like there’s so much to explore with his character that I haven’t yet. Charlie, however, was my favorite to write. Despite most people liking Janis better, I genuinely think I did a better job writing Charlie. He stirs more of an emotional response in readers from what I’ve noticed—even if it is negative. A lot of times while writing I found myself bursting out in laughter at something Charlie did or said. It’s all just so … Charlie. I think I’ll look back in years to come and really appreciate what I did with Charlie’s character. JB: I’ve heard you say that you’re beginning to work on another novel. 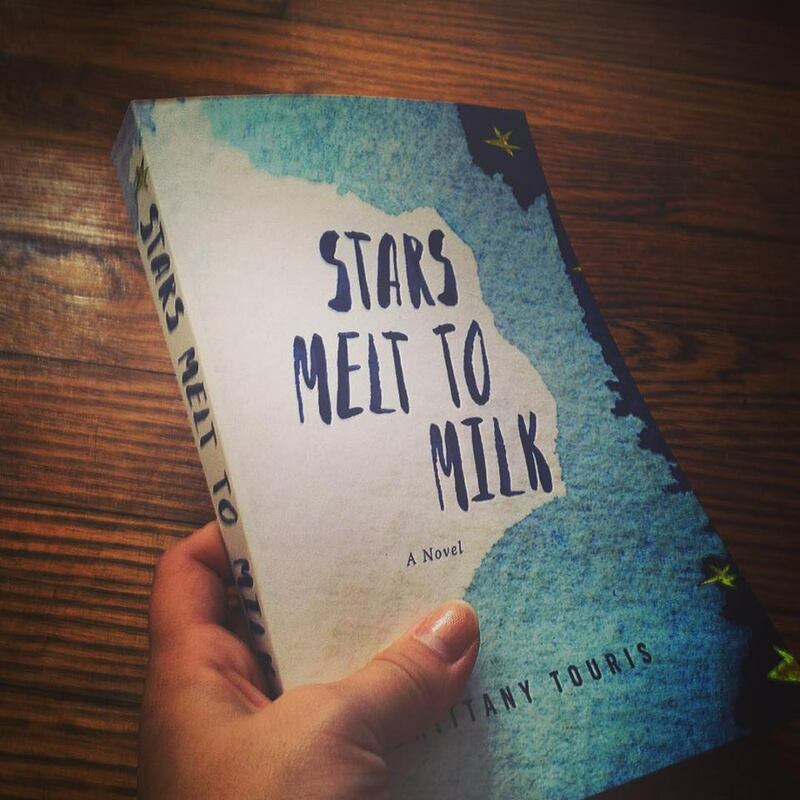 Is it a sequel to Stars Melt to Milk? Or…? BT: I haven’t started work on a sequel for Stars Melt to Milk, although I’d love to some day. I’ve actually begun work on a series, titled The Gold Dust Odyssey. I suppose I’d have to place it in the adventure category, but that’s debatable. It’s about a young woman, exploring a series of fictional realms, taking a philosophical lesson from each place. JB: There’s no doubt in my mind that the writing/reading world will hear more about Brittany Touris. How and where can we keep in touch with you and your progress? BT: You can get updates via email by subscribing to my blog on oshitbritt.com. Also like me on Facebook (Brittany Touris), follow me on Twitter (@oshitbritt), and follow me on Tumblr (oshitbritt.tumblr.com). Be sure to subscribe to my YouTube channel too! I’m trying to hit that 1,000 subscriber mark by the end of the year. JB: Thanks so much, Brittany, for your thoughts on the creative process that so many of us call writing and for letting us peek into your writing persona. BT: It was my pleasure!